Nissan India today announced it will be raising prices of all its offerings by 2 per cent. This hike will be applicable to Datsun cars as well and will be effective from April 1, 2018. Nissan India attributes this increase to rising input costs. Carmakers usually anticipate rising input costs in the coming year and enforce these price increases to not put a strain on their earnings. The cars affected with this particular price increase include the Nissan Micra hatchback, Sunny sedan and the Terrano SUV as well as the Datsun GO, GO+ and redi-GO hatches. 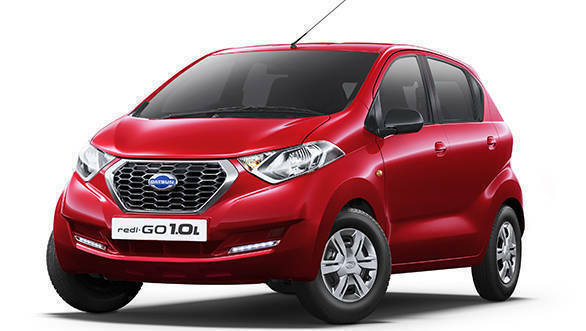 Jerome Saigot, managing director, Nissan Motor India said that they were increasing the prices of Nissan and Datsun cars with effect from April 1, 2018 due to rising input costs but were confident that their cars will continue to offer excellent value and choice to customers. Nissan India is aiming to double its market share in the country. The company currently had around two per cent market share of the Indian passenger car segment in 2016. It is aiming to increase that to five per cent by 2020. The company has also revealed that it will be launching at least one product every year from 2018 which will also include cars from its international range like the new X-Trail.